We invite you to support our work by buying a tree for us to plant on your behalf. 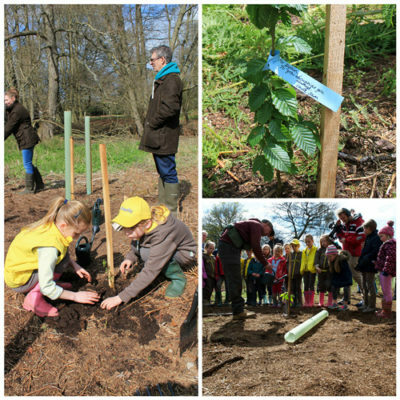 Through TreeBay you can buy a dedication tree in the name of someone you care about. Or we can plant a tree in memory of one of your loved ones. You could even buy a “Family Tree” and in years to come, where it is planted can be a special place for you and your family to visit. We are also offering individuals and businesses the chance to buy carbon offsetting trees. Buy a small tree sapling through paypal to support our work. We want to partner with local small, medium-size and large businesses in the region. 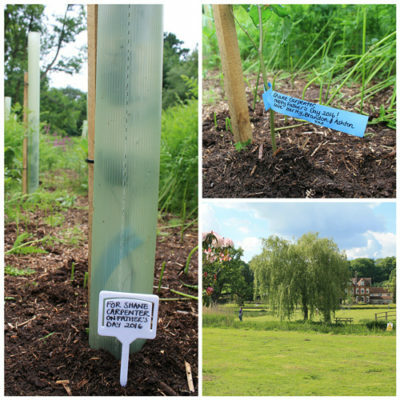 We offer businesses the chance to offset their carbon footprints by supporting our tree planting workshops. 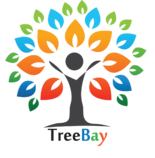 We work with a Carbon Consultant who uses a formula to estimate your carbon footprint and can recommend how to offset that through buying trees on TreeBay. We are looking for Corporate Social Responsibility partners in the region too. As a social enterprise, all our profits go back into growing the organisation so we can plant more trees and have more impact. 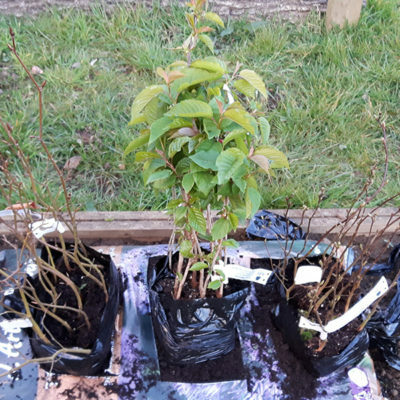 Currently the product on offer are small saplings which you can buy for us to plant on your behalf on one of our community planting days. It comes with a stake to support it and a shield to protect it from rabbits and deer. You can have a tree tag on it for the name of the person you are dedicating it to. 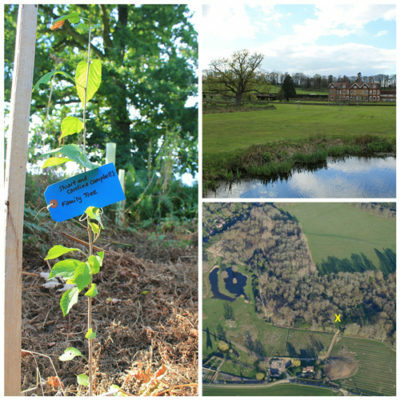 We can also email a picture of your tree to you once it has been planted. Coming soon, you will be able to buy semi-established trees for us to plant on your behalf. You will be able to choose a species and dedicate the tree with a more permanent plaque commemorating your loved one. Watch this space. Please note: If your tree isn’t planted in this planting season, we promise it will be one of the first to be planted in the next planting season a little later in the year.